Editor’s Note: This post was originally written by Melody, and later re-written and updated by Dave in April 2013. 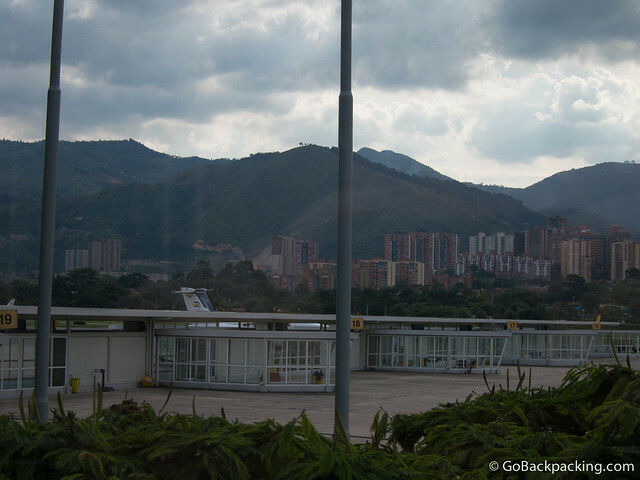 Olaya Herrera Airport (EOH) is Medellin’s original airport, opened in 1932, and renovated in 2010 ahead of the South American Games. In addition to a sparkly new website, it appears “Enrique” was dropped from the official airport name, thus shortening it. Situated in the southwest section of the city, I’ve had a view of planes taking off and landing there from my apartment in Ciudad del Rio for many years. 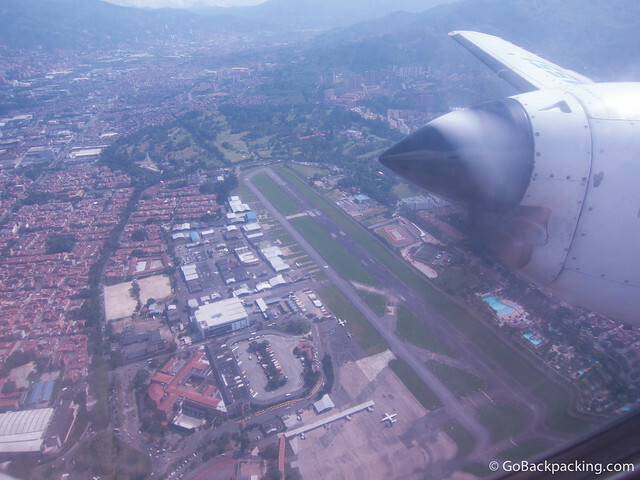 It wasn’t until my recent EasyFly flight to Bucaramanga that I had the chance to use and explore this much more convenient airport. 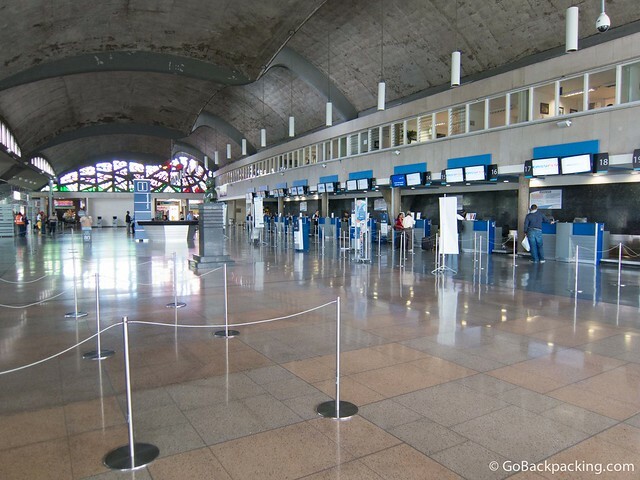 Although not all domestic flights leave from the Olaya Herrera Airport, if you find one that does, definitely consider it first. More importantly, it’s a convenient, 5-minute, 5,000 peso ($6) taxi ride from the Poblado metro station. 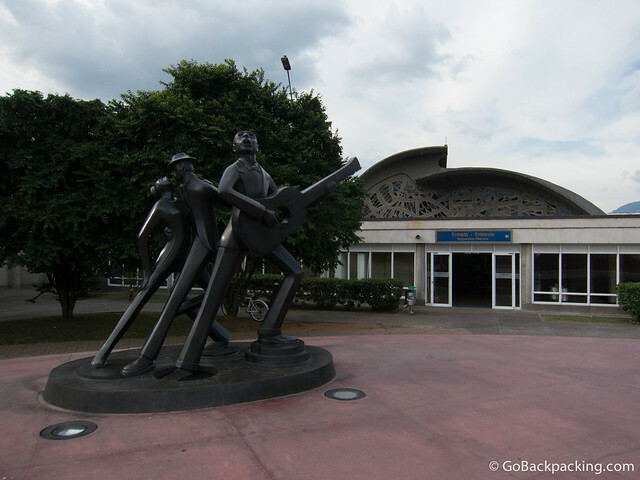 It is also located next to the South Bus Terminal, making for an easy walk between the two. By comparison, the international airport in Medellin, Jose Maria Cordova, is actually in Rionegro. It takes at least 45-60 minutes to get there, and the official 2013 rate for a taxi is 57,000 pesos ($31) from Poblado. It’s a huge price difference; if you are flying round-trip it could easily save you $50! LAN Colombia, Aerolinea de Antioquia (flies all over Colombia), EasyFly, and Satena all offer flights to and from EOH. To find cheap flights, check individual airline websites using EOH for your flight code if you want to fly in or out of Enrique Olaya Herrera Airport. 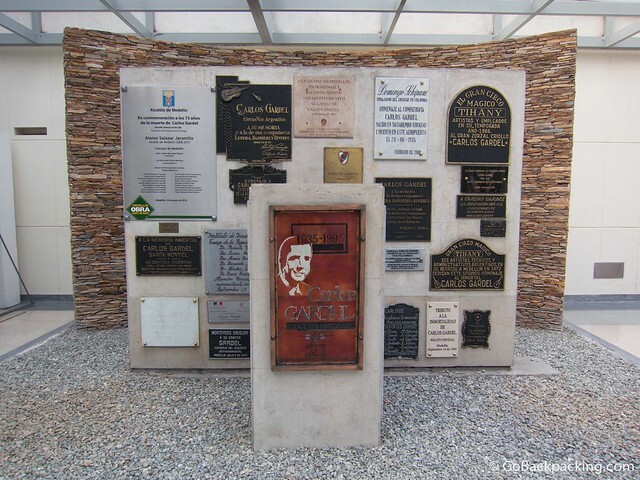 Inside the airport, behind the pre-security cafes and food shops, you’ll find a memorial to Carlos Gardel, tango’s most famous singer, who died June 24, 1935 in a plane crash in Medellin. In something I’ve only seen in Bolivia’s airports, the Olaya Herrera Airport also features an outdoor observation deck overlooking the tarmac. I snapped a few photos of the view before a security woman informed me no photography was allowed. Cost, convenience, and city views are the three reasons I recommend flying out of Olaya Herrera Airport whenever possible. I love this post. Thanks for including the airport code. I think it’ll make it easier for people to find this airport. Thanks, Rafael. It’s always nice to hear positive things about posts! You should add Satena to your low cost airlines. I booked my flight from BAQ to MED and it was cheaper than Aires and seems to be quite competitive with the other airlines. I’m liking the blog a lot, I am coming like I said in January. Can you give me any insider tips about festivals and what’s might be going on at that time? Thanks bro, keep up the good work. As for events in January, I don’t really know of anything specific that’s happening in Medellin. Late February is Carnaval in Barranquilla, but it’s possible the Colombians use January to rest up after partying throughout December. (Cali’s Feria festival starts Dec 26 and runs until New Year’s). Hi Dave, do you know if this airport has baggage storage ? We have been there before but did not need it and have not been looking for it. Now we need to store one bag since we are flying to Bahia, cannot find it on the airport page or anywhere else. Thanks !